Demonstrate knowledge of importance of clinically integrating the OASIS C2 tool with ongoing assessment data collection to accurately score M-Items for quality of care and evidence based practice by passing the post-test with a score of 80% or higher following the on-line learning activity. 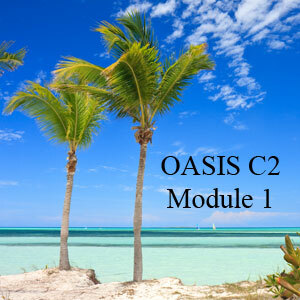 This module provides foundational knowledge of the OASIS C2 tool including its history, impact areas and role in the care planning process. Describe the impact of payment changes on the provision of home health driving the need for outcome data. Define key terms connected to data collection and OASIS tool completion. Identify the expectations for data collection accuracy at defined time points. Describe the role of the OASIS C2 tool in improved assessment, care planning and quality of care.